Tweed Byron Ballina Community Transport (TBBCT) recognises that many Aboriginal and Torres Strait Islander people are transport disadvantaged, and that there is an urgent need to address issues of access to healthcare, to decrease the wide gap in life expectancy between our Indigenous and non-Indigenous populations. TBBCT prioritises the needs of Aboriginal clients who need assistance to get to medical appointments, and supports Aboriginal people to access social and cultural events where we are able. We have a daily shopping access bus from Cabbage Tree Island to Ballina and return within school hours Monday to Friday and including school holidays. Download the timetable here Bus – Cabbo Time Table. 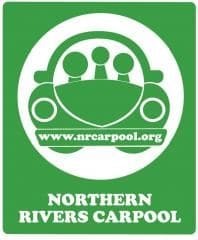 Northern Rivers Carpool is a free, online service for anyone who wants to save money, meet new people and reduce their carbon footprint while travelling to work or study. Northern Rivers Carpool is easy to use. It takes two minutes to join the network and then Northern Rivers Carpool will search its database and match you with other people travelling in the same direction. Join www.nrcarpool.org today and travel smart. Login with your email address and member password to access the Members Page and then click on the Order your Carpool car sticker button. Download the new app for iPhone via iTunes and Android via Google Play. Community Transport Organisations are non-profit services funded by the Department of Aging, Disability and Home Care and other Government bodies. Community Transport Organisations provide a range of transport services for people who do not have their own transport or who have difficulty using regular public transport. Passengers are asked to make a small contribution. What does community transport do, for whom? How does community transport do it? They have a network of volunteers who provide individual transport in their own vehicles or by chartering the services of local bus operators or contract hiring of taxis or hire cars. Use the search function in map below to find cycle-ways in your area. Blinded Soldiers Gold Pass NSW Transport Authorities Free Guide also entitled to free travel. Ex-members of Defence forces (TPI) Pass Sydney Trains Free Free travel. NSW Tertiary Student Concession Card Tertiary Institutions Concession Eligible full time tertiary students are entitled to half fare concession using a NSW Tertiary Student Concession Card. Regional Excursion Daily (RED ticket): Holders of Pensioner Concession, NSW Seniors or War Widow/er cards, can purchase a RED ticket from the bus driver for $2.50. The ticket is valid for all day travel within the region. You can get on and off the bus as much as you want and you can travel on different bus companies. Show your eligible concession card to the driver, they will give you a RED ticket which you can use for the rest of the day. Half Fare Concessions: Full time tertiary students, jobseekers, apprentices and trainees are entitled to half fare travel on presentation of a relevant card. You can obtain an application from Centrelink, your training institution or workplace. Taxi Transport Subsidy Scheme (TTSS): People with a severe and permanent disability may be eligible for subsidised taxi travel. TTSS consists of vouchers that pay for ½ your taxi fare per journey. Up to a maximum of $60 a ride. So if the fare is $25 you would pay $12.50, and if it is $120 you would pay $60. Ask your doctor about the scheme or phone 1800 623 724. If you are travelling interstate you can order Interstate Taxi Dockets. Order them in advance of your travel as they may take up to two weeks to arrive. School Student Transport Scheme (SSTS): Travel to and from school is subsidised for most students. Contact your school for an application form. Assisted School Travel Program (ASTP): Subsidised school transport for students with an intellectual, physical or behavioural disorder, should their parents be unable to provide transport. Apply through your school or phone 1300 338 278. The Department of Veterans Affairs has a range of transport schemes for Veterans with disabilities living permanently in NSW. For more information and an application form contact a regional RSL Sub Branch office or call 1800 555 254. Isolated Patients Travel & Accommodation Scheme (IPTAAS): A referral-only service for people who need to travel more than 100km to obtain inpatient or outpatient specialist medical treatment and/or specialist oral health surgical treatment that is unavailable locally. Claim forms are available from your medical practitioner or contact 6620 2168. Companion Card If you have a significant, lifelong disability and require attendant care for the rest of your life, you may be eligible for a companion card. An attendant travelling with you will receive free travel on public transport in NSW. This card also provides free entry for the attendant to many venues throughout the state. For more information and an application form phone 1800 893 044. NSW RailLink has an extensive network of coaches which connect many Northern Rives towns and villages with trains at Grafton, Casino and Kyogle stations. Trains continue south to Sydney and North to Brisbane. Passengers can get onboard the Counrylink Coach service in Bangalow, Brunswick Heads, Byron Bay, Mullumbimby, Ocean Shores turn off and Suffolk Park for connection to Casino where they can board the rail service to Sydney. Phone a taxi. You can phone for a taxi to pick you up by dialing 131 008 or the phone number of the company closest to you. If you have any special needs, tell the network when you make the booking. Phone bookings may attract a service charge. NOTE: If you need change from $50 or more tell the driver when you start the journey. Feedback If you would like to provide feedback, a compliment or a complaint about a taxi driver or trip, please call NSW Transport and Infrastructure’s Taxi Customer Feedback Management System on 1800 648 478 or submit it online. Wheelchair accessible taxis are sometimes called WATs. A WAT can be a car, a van, or a minibus that has been altered to secure one or more wheelchairs in the back. WAT drivers receive more training than regular taxi drivers. They learn how to help a passenger in a wheelchair get in and out of the taxi. They also learn about different types of disability as well as the Taxi Transport Subsidy Scheme (TTSS). Each city and town in this region has it’s own taxi company or co-op. All but the smallest have at least one WAT, some have numerous. As a small number of drivers in each company drive WATs and they choose to do so, they are usually very helpful and friendly, especially since they get to know their passengers. How much you pay depends on how far you travel. The taxi meter measures how far you go and how much it will cost. The driver will turn the meter on when the taxi arrives and you have been told that it is waiting. They will turn the meter off when you reach your destination, before helping you out. The driver will help you in and out of the taxi and make sure you are securely fastened. You can ask if you would like help handling any luggage or to be pushed to your door. This will not cost you extra. It is always better to call for a WAT than to try and hail one! Finding affordable transport can often be difficult for not-for-profit groups. We have collated a list of organisations below with spare bus capacity, who are willing to rent their vehicles to not-for-profit organisations at cost or near cost price. Use the contact details below to find out more about the vehicle on offer. If you have a vehicle you would like to make available to other not-for-profit organisation click here. The Bat Bus service is for groups of young people aged 12-25 in the Byron Shire, who need help with transport. Bat Bus is not just one bus. They can provide a bus of any size, depending on the number of people. Bat Bus may even be able to help with car transport costs. YOU organise when and where YOU want to go and let Bat Bus handle the buses. The buses are drug and alcohol free and have wheelchair access.